Guru Har Rai passed away on October 6, 1661. Guru Har Krishan consoled the disciples. He asked them not to give way to despair but abide by the Will of the Almighty. All should sing God's praises and not weep or lament. As days went by, the disciples began pouring in from far and near. They were delighted to have a sight of the Guru. He sat on the throne, a small figure, young in years, but mature in wisdom. Says Bhai Santokh Singh, "The early morning sun looks small in size, but its light is everywhere. 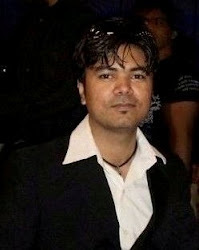 So was Guru Har Krishan's fame, without limit." Those who came to see him were instructed in true knowledge. They had their heart's desires fulfilled and their sins erased. 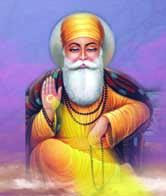 The Sikhs recognized him as the picture of Guru Nanak. They saw on Guru Har Krishan's handsome face the same light as must have been on Guru Nanak's. Guru Har Krishan had a rare ability in explaining passages from the Holy Granth. He delighted the hearts of his disciples by his commentaries. He reminded them to cherish the One God alone, and asked them to discard passions and learn the virtues of patience, charity and love. Thus Guru Har Krishan carried on the teaching of the Gurus and preserved intact the legacy he had inherited from them. The Baisakhi day (March 29) of 1662 brought to Kiratpur vast numbers of followers. The festival lasted three days. The sangats were looked after by the Guru' s grandmother, Mata Bassi, and mother, Mata Sulakkhni. In the sangat of Sialkot district was Pair Mall of Pasrur, along with his family. His son, Khem Karan, was a promising youth. Mata Bassi betrothed her granddaughter, Bibi Rup Kaur, to him. Nuptials were held on December 3, 1662. According to the Guru kian Sakhian, the presents offered by Mata Bassi included a pothi of stories from Guru Har Rai' s mouth and a dagger belonging to Guru Hargobind. Emperor Aurangzib was not pleased to hear about the growing fame of Guru Har Krishan. He sent for him to Delhi as he had sent for his father, Guru Har Rai. Guru Har Rai had not gone himself, but had sent his elder son, Ram Rai, to the emperor' s court. Now when a servant of Raja Jai Singh of Amber arrived with the emperor' s message, Guru Har Krishan took counsel with his leading Sikhs. They said to him with clasped hands, "We are thy servants, Lord. With thy knowledge of all the three worlds, thou knowest best." Guru Har Krishan called the messenger and told him that he would accompany him to Delhi. Guru Har Krishan traveled through Ropar, Banur and Ambala. Along the way, he instructed the disciples who came to call on him. When Guru was near Panjokhara, a Sikh spoke with humility, "Sangats are coming from Peshawar, Kabul and Kashmir. Stay here a day so that they may have the chance of seeing you, Master." The Guru agreed. In that village lived a pandit, Lal Chand by name, who was proud of his caste as well as of his learning. He came to see the Guru and spoke with derision: "It is said that you sit on the gaddi of Guru Nanak. But what do you know of the old religious books?" Chhajju Ram, the illiterate, dark-skinned village water-carrier, happened to pass by at that moment. Guru Har Krishan asked Dargah Mall to call him. As Chhajju Ram came, the Guru enquired if he would explain to the pandit the gist of the Bhagavadgita. The illiterate villager astonished everyone by his cogent commentary on the sacred book. Lal Chand's pride was overcome. Humbly he fell at the Guru's feet. Both he and Chhajju Ram became the Guru's disciples and travelled with him up to Kurukshetra. The former entered the fold of the Khalsa in Guru Gobind Singh's time, and took the name of Lal Singh. Lal Singh met with a hero's death fighting in the battle of Chamkaur on December 7, 1705. In Delhi, Guru Har Krishan put up in Raja Jai Singh's bungalow which is now the site of Gurdwara Bangla Sahib. The house was a spacious one "designed to suit all the seasons of the year." The Sikhs of Delhi started coming in groups to see the Guru. They came chanting the holy songs and brought offerings with them. According to the Guru kian Sakhian, Guru Har Krishan visited the emperor's court on Chet Sudi Naumi, 1721 Bk/March 25, 1664. As says the Mahima Prakash, the emperor had planned a trial. He had two large trays laid out for the Guru. One of these displayed ornaments, clothes and toys. The other had in it a holy man's cloak and cowl. Both were presented to Guru Har Krishan. He rejected the tray containing ornaments and clothes, and accepted the one containing the cloak. The emperor was convinced of his holiness. He thought he would invite him again and see him perform a miracle. Guru Har Krishan guessed what the emperor had in his mind. He told himself that he would not see his face again. He believed that no one should attempt a mirage and try to disturb the law of God. Guru Har Krishan knew how his father had punished Ram Rai, his elder brother, for showing feats in Aurangzib's court. The Rani had devised her own test. she asked her husband, Jai Singh, to bring the Guru to the ladies dwelling-house. The Guru accepted the invitation. At the entrance to the inner apartments of the palace, he was received by the Raja's servants with due honour. As he stepped inside, the ladies, in their costly jewels and clothes, bowed in reverencers He walked past them acknowledging their greetings. As he came near one dressed modestly in a maid's coarse homespun, he stopped and said, You are the Rani. Why should you have dressed yourself in a maid's suit?" The Rani bent her head in homage. Suddenly one day Guru Har Krishan was taken ill with a fever. The fever turned out to be the beginning of an attack of smallpox. The Guru's tender body was ravaged by the disease. The Guru's mother, Mata Sulakkhani, became very sad. she said, "Son, you occupy the gaddi of Guru Nanak. You are the dispeller of the world' s sorrows and sufferings . Your very sight removes the ailments of others . Why do you lie sick now?" Guru Har Krishan replied, "He who has taken this mortal frame must go through sickness and disease. Both happiness and suffering are part of life. What is ordained must happen. This is what Guru Nanak taught. Whatever He does is His order. One must walk in the light of His command." Guru Har Krishan had himself taken out of Raja Jai Singh's house to a camp put up on the bank of the Jamuna. The Sikhs wondered why the Guru suffered thus. why this darkness surrounding the sun itself? They were in despair and wondered who would take the gaddi after him. Guru Har Krishan, as says the Sri Gur Pratap Suraj Granth, instructed them in this manner: "Gurgaddi, Guru Nanak's throne, is eternal. It is everlasting and will command increasing honour. The Granth is the Lord of all. He who wants to see me, let him with faith and love see the Granth. So will he shed all his sins. He who would wish to speak with the Guru, let him read the Granth with devotion. He who practises its teachings will obtain all the four padarathas, or cherished objects of human life. He who has faith gains all. He who is without faith acquires but little. None in this world liveth forever. The body is mortal. In the Granth abides the Guru' s spirit. Daily bow your head to it. So will you conquer your passions and attain liberation." Tears filled the Sikhs' eyes as they listened to what sounded like the last words of the Guru. Then mother Sulakkhani came forward. With tears in her eyes, she spoke, "How shall I live without thee, son? I was blessed when I came into this family married to the late Guru. I was blessed when you were born. Now I am cast into a bottomless ocean of sorrow. Who would be my rescuer? How does a fish live separated from water?" "The body is perishable," said Guru Har Krishan. "As you learn to have faith in God's Will, you will attain to realms sorrowless. Eternal peace will be yours." Mother Sulakkhani's heart was awakened to the truth and she felt herself released from her worldly chains. Guru Har Krishan was in a critical state. Yet he did not fail to carry out his important responsibility before he left the mortal world. In his last moments, he was able to nominate his successor. He asked for the ceremonial marks of succession to be fetched. But all he could say was "Baba Bakale." He meant that the next Guru would be found in the town of Bakala. The reference was unmistakably to Tegh Bahadur. Guru Har Krishan passed away on March 30, 1664. According to the Guru kian Sakhian, Mata Bassi, the grandmother, asked Gurdas, of the family of Bhai Bahilo, to start a reading of the Holy Granth in his memory. Dargah Mall and Munshi Kalyan Das were sent to Punjab with the mournful news. They first went to Kiratpur to inform Guru Har Krishan's sister, Bibi Rup Kaur. The next day, they set out for Bakala to inform Guru Tegh Bahadur. While in Delhi, he had met Guru Har Krishan and now he received the news of his passing away. He consoled the Sikhs and taught them to abide by God's Will. main parvai. Guru ji ki karahi hanti. River Sutlej. Karahprasad was distributed.